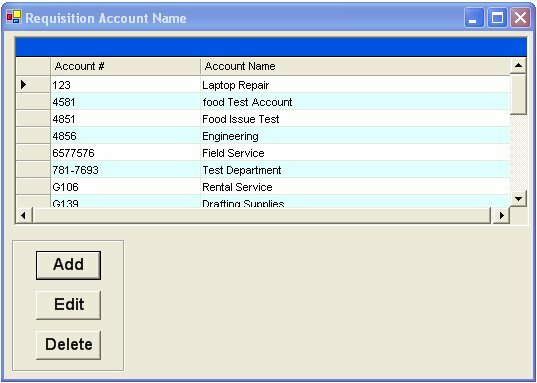 The 'Software Issue' screen asks the user to select an account/project number to charge the removal of the inventory item. The issue information is logged into the database for reference and can be indexed by the inventory charge account. Barcodes can be generated and printed for use with a barcode reader.